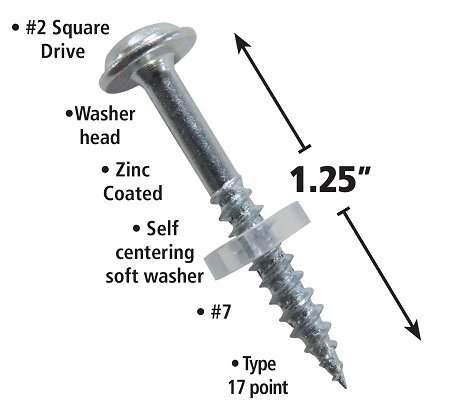 The Self Centering Pocket Hole Screw is a simple new product that makes pocket hole joinery even easier. The soft washer helps to consistently center the screw tip, eliminating the hassle and worry of missing the pilot hole. Drill your pocket hole, insert your Self Centering Pocket Hole Screw, push it into place, and drive to secure your joint. The washer will automatically guide the screw tip into the pilot hole. Also available in 200 piece quantities.